They are used for the transmission of gases and liquids in all kinds of contexts. EPDM rubber is one of the most popular synthetic rubbers for general-purpose and specialty uses, and it continues to grow in popularity. EPDM rubber products include EPDM rubber tubing, rubber hoses, washers, belts, electrical insulation and much more. EPDM Tubing – NewAge® Industries, Inc. Specifically, EPDM tubing is commonly used for many automotive applications, such as heater and coolant hose, vacuum-operated accessories and emission systems as well as air and shop hose and water and garden hose. EPDM tubing resists electricity and works well with fireproof hydraulic fluids, ketones, hot and cold water, alcohols, alkalis and some acids but not with most oils, gasoline, kerosene, hydrocarbons, halogenated solvents and concentrated acids. EPDM tubing resists the effects weather can have over time and has similar resistance to heat, ozone and oxidation. EPDM tubing can also be developed to emphasize flame retardance, tensile strength, tear and abrasion resistance, low-temperature flexibility, compression set resistance and oil swell resistance. As EPDM’s versatile polymer designs continue to be developed, EPDM tubing will become even more varied. 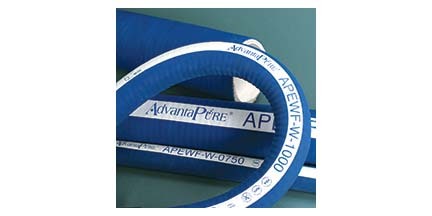 EPDM can make up the inner tubing or outer covering of a hose, or both. EPDM hose is often made by blending in other synthetic rubber compounds, such as SBR, and reinforced in certain ways, which include polyester layers, embedded helix wire, steel wire braiding and spiral high-tensile textile cords. 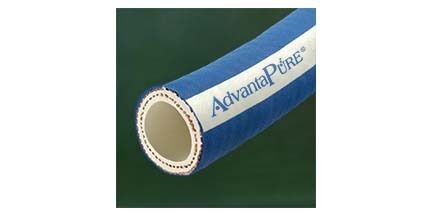 EPDM tube or hose can also be coated to greatly increase chemical resistance. Offering color stability, EPDM tubing and hose can come in red, black, blue, yellow, green and grey. EPDM tubing can be created in several ways, but the rubber extrusion process is among the most prominent and widely used. EPDM extrusion, like all rubber extrusion processes, involves a collection of raw EPDM in a hopper suspended above a conveyance channel. When the EPDM is released into the channel, a long shearing screw forces the EPDM down the channel as it turns. The friction and pressurization caused by the turning of the screw heats the EPDM until it becomes molten. Once molten, the EPDM is ready to be forced through the die, which in the case of rubber extrusion is a specially designed tool used to shape rubber products. When the EPDM emerges on the other side of the die, it is newly extruded tubing. EPDM Tubing EPDM tubing is the term used to describe hollow channels made out of non-polar ethylene propylene diene monomer rubber.